Cherry-red color with ruby reflections. Good aromatic expression, reminiscent of earthy blackcurrants and other small red berries. Long and velvety in the mouth, with nice acidity. This is refined and exceptionally pure. Hand picked grapes from the ‘lieu dit’ parcel Dorfburg. Ripe, musky aromas of exotic fruits and smoke. The wine is also sweet, spicy and stylish, with good concentration. Jean Geiler always harvests early, to retain good levels of acidity ensuring the wine is not too sweet. The wine remains fresh, fruity and delicious. 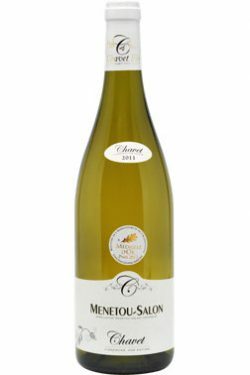 An attractive rich dry white wine with a floral bouquet – it is well balanced and does not disappoint the eye, nose or palate. The wine is well rounded and supple, showing all the characteristics of an aristocratic claret. Hand harvested grapes explains the very low yield and the high concentration of candied fruit aromas. The village name is ‘Bussieres’ and Montbrison is a ‘lieu-dit’ (place name). The wine is rich and concentrated with abundant aromas – beautifully made by one of the most talented vignerons in the area. This wine has a very precise and detailed bouquet with graphite infused black fruit. The palate is medium-bodied with svelte tannins. There are notes of red fruits and subtle undertones of game. It broadens out towards the finish with rich Cru Bourgeois flavours. Monsieur Henri Bourgeois from Sancerre has brought a decidedly French feel to this hand-crafted New World Pinot Noir. A very complex nose of sweet black currants, mushrooms, mocha and spicy oak can be found and the small-berried bunches have created a wine with rich layers of dark fruit and ripe tannins which are seamless. Lovely to drink now, it should, however; age with elegance and reward the patient for up to 7 years. You’ll love the chocolatey nose, its deep black fruit and subtle smoky aromas. The mouth follows with luscious fruit with freshness and lithe tannins. A wine made to enjoy! Ageing Potential: 2-3 years. Brilliant red colour with purple hues. Its aromas are complex with cherry and liquorice ripe, black pepper and subtle notes of nutmeg. Round bodied, well structured and harmonious. Long finish with world class finesse. 100% Malbec. Wonderful Argentina wine. This dry pale yellow coloured wine features medium floral, fruity and mineral scents and offers a broad texture. 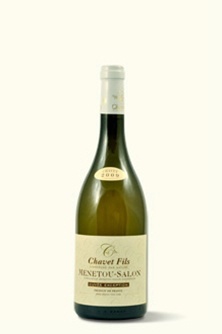 The Menetou Salon Exception is an exceptional wine in its class, hence the name ‘Exception’. This very aromatic wine beguiles in the bouquet with very fine Sauvignon aromas paired with notes of nutmeg, hawthorn, citrus fruits and roses. Intense on the palate, this wine gradually develops its roundness and structure in a harmonious balance and retains its elegance for many years.